TxANA submits comments related to VA proposed rule.The AANA announced that the Office of Management and Budget (OMB) approved a final version of the VA’s proposed rule to grant full practice authority to APRNs except CRNAs. All members are encouraged to submit comments through AANA. TxANA’s letter can be found here. Today I am writing to inform you that the Office of Management and Budget (OMB) has approved a final version of the VA’s proposed rule to grant full practice authority to APRNs that does not include CRNAs. As stated in the final rule, "Certified Registered Nurse Anesthetists (CRNA) will not be included in VA's full practice authority under this rule, but comment is requested on whether there are access issues or other unconsidered circumstances that might warrant their inclusion in a future rulemaking." The final rule will take effect 30 days after it is published in the Federal Register (December 14, 2016). Comments on full practice authority for CRNAs must be received by the VA within 30 days of publication of the rule. Please watch your email for a call-to-action message coming soon from the AANA. While the rule's language leaves open the possibility of inclusion of CRNas at a future date, there is no doubt that after more than a year and a half of dedicated effort by AANA members and staff to gain approval of the VA’s rule as initially proposed, the end result is a slap in the face to veterans who will continue to endure dangerously long wait times for anesthesia and other healthcare services. 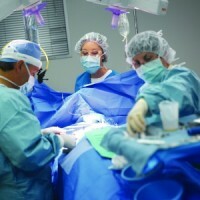 It also means, for the time being anyway, that CRNAs already working in Veterans Health Administration (VHA) facilities across the country will continue to be underutilized despite their ability and willingness to help ensure veterans have access to the timely, high-quality healthcare that is their right and reward for service to our country. CRNAs were excluded from the final rule despite their inclusion being supported by thousands of comment letters; numerous Veterans Service Organizations (VSOs), healthcare professional associations, policymakers, and other stakeholders; and a mountain of published research evidence. The proposed rule also was supported by an independent assessment of the VHA that was ordered by Congress and published in 2015, and the final report of the bipartisan Commission on Care chaired by the CEOs of the Henry Ford Health System and Cleveland Clinic. Both the independent assessment and the commission report identified the use of all APRNs, including CRNAs, to their full scope of practice as a necessary step toward improving the VHA system. It appears that the exclusion of CRNAs from the final rule was championed primarily by a single individual—the undersecretary of the VA—whose personal bias, politics, and favoritism may have undone years of work by the agency he oversees and subverted the best outcome for veterans. While we are frustrated and disappointed by this turn of events, we do not intend to give up the fight. From this point forward, we will continue to work with Congress, the Trump administration, VSOs, veterans, and other concerned stakeholders, leaving no stone unturned in our efforts to improve veterans’ access to the highest quality healthcare available, especially that which is provided by CRNAs. Many thanks to each and every CRNA and SRNA who took the time to write letters and place calls to lawmakers and VA leadership. Many of you took action numerous times or convinced others—CRNAs, physicians, veterans, service men and women, family, friends—to join you in writing or calling to support improving access to CRNA care for veterans. Your efforts pushed the rule to the brink of being adopted in its only acceptable form. With more hard work, we can push a new version of the VA’s proposed rule to the brink of approval again, and then push it further to acceptance. Full practice authority is necessary to improve access to care problems in the VHA and we owe it to our veterans to continue the fight! I’d also like to thank my current and past Board colleagues, and the AANA staff, for an exhausting and exhaustive effort to achieve a better outcome. Trust me when I say there was no lack of effort on anyone’s part throughout this endeavor. I would also like to express to our nations veterans that the AANA’s commitment to you and our resolve to see this issue through are stronger than ever! Again, please watch your email for a call-to-action coming soon from the AANA as we continue to pursue full practice authority for CRNAs in the VHA.